E. M. Gist Illustration/ Dead of the Day: "How I Drew a Vampire for Guillermo Del Toro"
I mentioned recently that I had a few announcements to make. 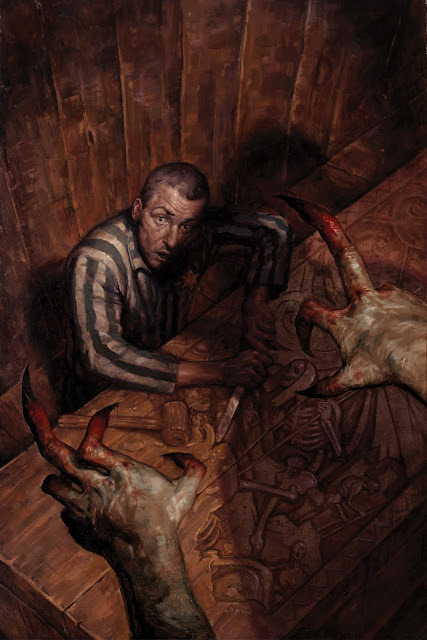 Well it is time for the first, I was recently hired as the regular cover artist on the Dark Horse Comic's adaptation of the The Strain trilogy of novels written by Guillermo Del Toro and Chuck Hogan. Without further ado here is my first cover for the series, and a link to a step x step article I wrote for IO9.com to help announce my coming on board. Great news AND great painting!